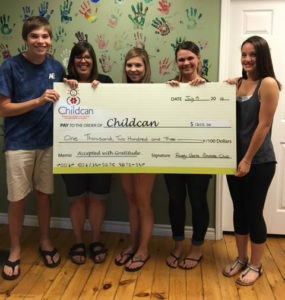 Rusty Gaits Saddle Club held their annual charity show on July 15, 2018 to help raise funds for Childcan- a local organization that supports children and their families through a childhood cancer diagnosis. We raised $1203.00 for this amazing organization! We would not have been this successful without the amazing support of our community and everyone that donated. The Ultimate Cowboy Challenge, Vesta Shop St. Thomas, From the Meadow, Friendly Food, Greenhawk Equestrian London, Holliewood by Design, Chad Gee, Gee’s Videography & Co., Maegan Dubois, Jennifer Gray, Chick Boss Cake, Boston Pizza St Thomas, Randy Evans, Limitless Tattoos inc., GTs On The Beach, For Dog’ Sake Pet Services- St. Thomas, Phoenix Designs, Exodus London Escape Rooms, Steph Borromeo (Scenty Consultant), Channer’s Mens Ladies Apparel, Dorchester Feed Mill, Penny Roy VanKemenade, Mustang Products- St. Thomas, The WORKS Gourmet Burger Bistro, Curley Brewing Company, Shelley Dubois Frrelance Title Searching, Sandi Miles, Hall Stables, Visione Bianco – Interior Design + Decor (Cait White), Alex Gourley, Joanne Moyer, Tessa Shepherd and Carrie Vanass (our judge). Sherry Black, Pam Hall, Reba Thompson, Maegan Dubois, Sam Hall, Sandi Miles, Scott Thompson, Kristie Knight, Mark Thornton, Chad Gee Jarod Maness, Karleigh Cassidy, John Durston, Michelle Kirk, Kim Hill Ludwig, Jon Muncaster, Brooke Otten, Carson Nurse, Shirley Gilham. I know I have forgotten many names as there was so many people helping to make this day wonderful. Thank you to everyone for helping make this day perfect!